This is an article dedicated to the digital purveyors of horror and exploitation cinema from around the world. It's a look (from a fans perspective) at some of the major independent players in the DVD arena and an ode to the fallen who have lost the war against a financially unstable economy and the backhanded blow dealt by bootleggers and torrent whores. Hopefully, those small few, now dwindled from a great many, will remain standing to unleash that obscure, unknown, under budgeted, fitfully entertaining, or dreadfully horrendous trash 'classick' certain special fans have been waiting for. 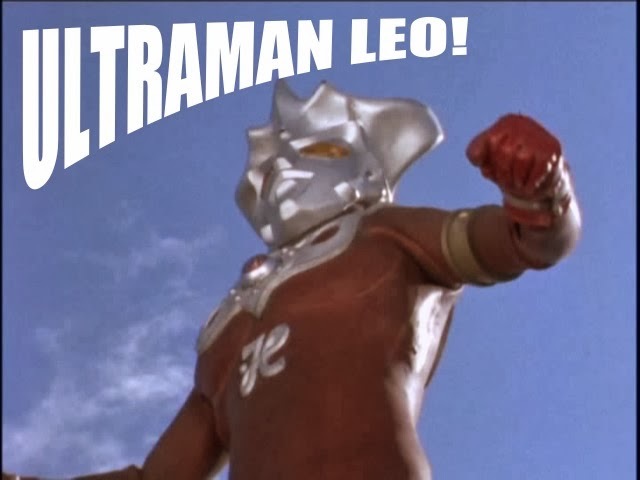 Back in May, I did a two part article about assorted movie and television show memories. It dealt with reminiscing about seeing some great and gaudy movies both at the drive in, or on the tube in the comforts of home. It more or less represented the mantra of this site displayed at the top of the page. With the advent of video cassettes (whether that be Beta, VHS, or laserdisc), there was suddenly a massive tidal wave of movies that could now be seen whenever you wanted. You didn't have to try and stay up late, or rush home to catch something interesting you spied in the TV Guide. 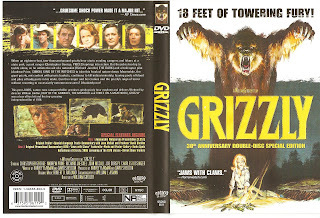 Years later, it became apparent that many of these tapes were occasionally missing footage. Sometimes that footage was crucial whether it be additional exposition, or even those celebrated scenes of gore we blood hounds go crazy for. Often times, the versions used for these VHS versions were faded, severely cut television prints filled with pops and crackles, burn marks, print damage and tape splices. Also, seemingly all of them were fullscreen releases, seriously compromising the filmmakers original vision. Laserdisc rectified many of these problems, but it wasn't until the beginnings of DVD in the late 90's (1997 for the American market) that fans of fantastic cinema were given an all new format with which to enjoy their favorite and fondly remembered movie memories in a new way and with additional perks. One of the first to break into the market was Elite Entertainment. 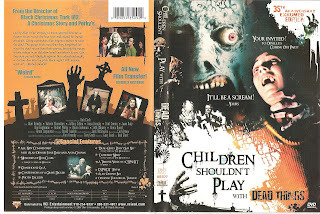 This company began in 1993 (under the guidance of Vincent Bancalari & Don May Jr.) and released a lot of choice horror films on the laserdisc format. Some of their more notable laserdisc releases were numerous European movies such as films by Mario Bava and Hammer Films. American classics such as Romero's first three DEAD films, MANIAC (1980), TEXAS CHAINSAW MASSACRE (1974) and RE-ANIMATOR (1985). They switched over to DVD towards the close of the decade. Some of the titles include THE INCUBUS (1981), HOUSE ON SORORITY ROW (1983) and MUTANT (1984). 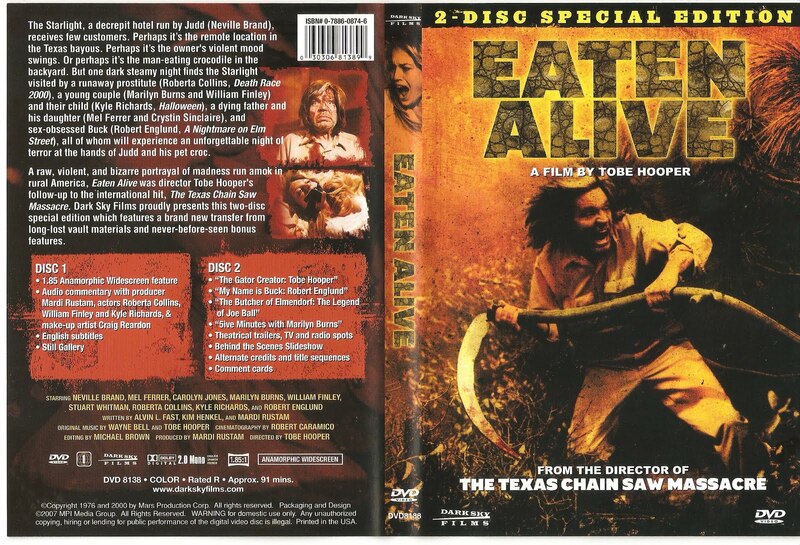 Elite also released Tobe Hooper's EATEN ALIVE (1976) to DVD prior to the two disc special edition from Dark Sky. Elite also released a brief series of films under their 'Millennium Edition' banner. These were NIGHT OF THE LIVING DEAD (1968), I SPIT ON YOUR GRAVE (1978) and RE-ANIMATOR (1985). The latter title is now owned by Anchor Bay (which is now owned by Starz Media). 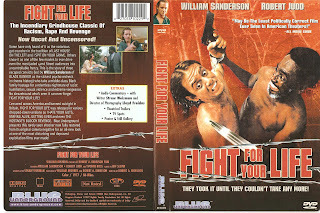 Elite Entertainment may also be among the numerous defunct DVD labels as they've been quiet on new releases. 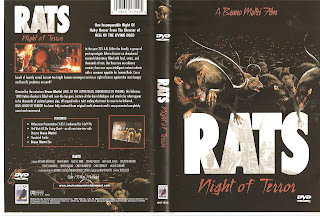 From there, many more DVD companies began springing up at a rapid rate. One of the most prosperous and successful was Anchor Bay Entertainment. 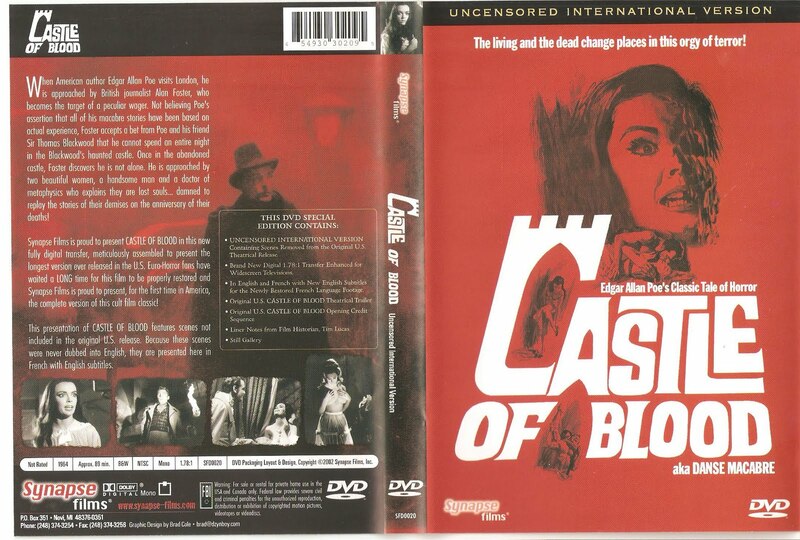 Born from the budget VHS label and fan favorite, Video Treasures, Anchor Bay started out releasing a treasure trove of choice titles such as their Hammer Films series of releases. 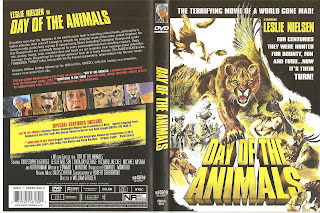 Anchor Bay also released a number of their titles on VHS tape housed in glossy boxes with gatefold covers. Movie director, Bill Lustig was instrumental in obtaining the rights to many of these great British chillers. 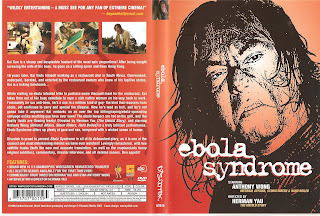 Lustig (along with David Gregory) also produced featurettes (under the Blue Underground banner) for many of AB's DVD's before turning Blue Underground into its own DVD company. 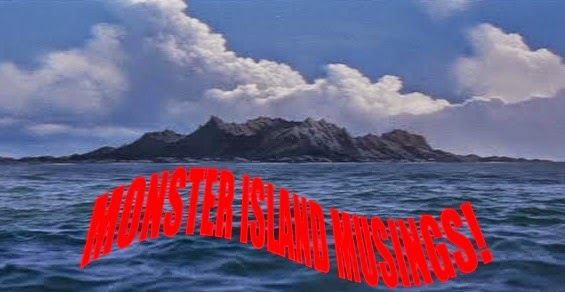 In the beginning, Anchor Bay was riddled with problems from bad disc pressings to listing films as being uncut, or in their original language with subtitles when that wasn't the case at all. I remember sending back several of the Hammer titles multiple times to get one that would play. I remember a service representative telling me (I also got a letter stating this) that their returns and defective rate was far below that of their competitors. They were the first (and only) company I have ever had a major problem with in relation to their discs. That didn't stop me from buying dozens of their DVD's mind you. Anchor Bay later became (in)famous for the astounding number of times they released HALLOWEEN (1978) and THE EVIL DEAD (1981) on both VHS and the digital format. Before they were bought up by Starz Media, the Bay still had a lot of titles on their slate which still have yet to see a release. Anchor Bay Films has also branched out into film production as well. Among their impressive catalog of DVD releases, others worth mentioning are THE BOYS NEXT DOOR (1986), NEON MANIACS (1986), SUPERSTITION (1982), NIGHT PATROL (1984), HELL NIGHT (1981), selected Dario Argento movies and their Mario Bava sets. With Anchor Bay being one of, if not the leading independent label of the day, it was only a matter of time before others began strutting their stuff with an onslaught of movies of various genres. Some companies became known for a certain genre. When those wells began to run dry, barrel scraping became inevitable, so other avenues were traveled in the hopes of uncovering some hidden gems. While things were seemingly profitable for these companies during the dawn of DVD, things would soon change from three powerfully crippling obstacles. Movie piracy has been a problem since the days of VHS. Honestly, who hasn't rented a tape and copied it for themselves to enjoy time and again? 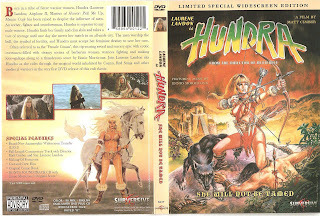 Throughout the 1980's and 1990's, many indy video outfits sold bootleg copies of movies unavailable in America, or unavailable in their most complete version as a stateside release. Tapes of Terror, Midnight Video, Far East Flix, Mondo Video and the dreaded Video Search of Miami are/were just some of the names of companies that provided a great service for those seeking rare and hard to find movies on videotape. Some of these companies are still around and provide this same service, but now specialize in the DVD-R format. Some of these service providers do in fact discontinue a title if it becomes legitimately available (and some don't). But many bootleggers were not only copying easily obtainable tapes, but selling them for a profit. When DVD's came out, the same thing became increasingly problematic. Pirates were having a field day bootlegging many of these movies, now on the digital format, and selling copies at a fraction of the cost. 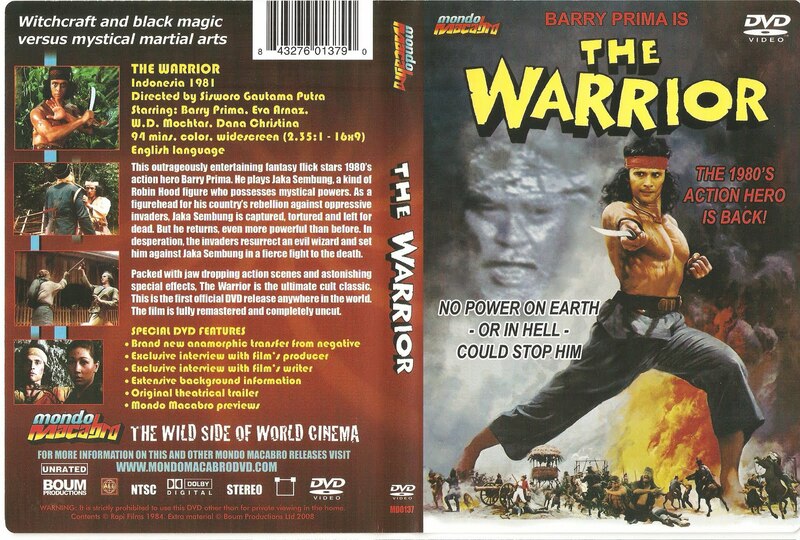 Sometimes, these dupes would come housed in DVD boxes with cheaply scanned covers. Others wouldn't even bother with producing a case and would simply sell their discs with little more than a paper sleeve. With certain titles costing a lot to license, or bearing a limited pressing, some titles would cost anywhere from $20 to $40 for the buying public. A pirate could easily purchase a copy of a film and by utilizing a DVD burner and a stack of cheap media, could provide himself with a steady cash flow by rabid "fans" who refuse to pay the "high cost" of a particular title. Granted, there are some cases where problems (such as financial) would prevent certain consumers from making such a purchase. But then that would be akin to saying, "Well, I can't afford a new car, so I think I'll go out and steal someone else's." Right now you can go on ioffer and find any number of legit titles from an independent label and that particular seller will offer his inferior copy between $3.00 and $5.00. Google just about any title from any genre and you're bound to get any number of available torrents just ready for download for those lazy and disingenuous "fans" who pretend to be dedicated supporters of the labels they so often champion. One of the most shocking and infuriating aspects of these dupesters are their ability to seep into major stores and online retailers. 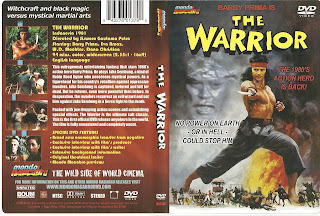 At one time, numerous kung fu movies were available via bootleg labels like Ground Zero and Video Asia in Best Buy and Suncoast stores. 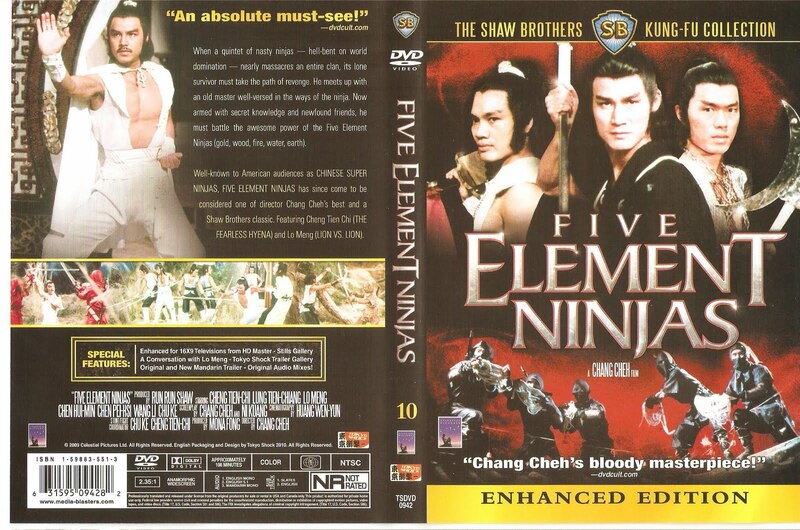 This was still going on even after the deal with Celestial Pictures to restore 760 Shaw Brothers movies had been made with various US companies to release many of those movies here (549 of them did manage to come out from IVL on DVD and VCD in Hong Kong before the five year license ran out). 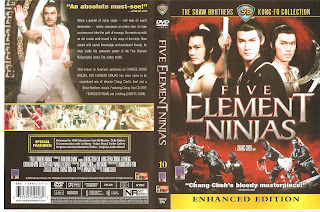 Some small time crook companies like Red Sun aka Pan Media aka Bonzai, ad infinitum, would have the balls to put out an inferior and shoddily English synced DVD to coincide with the same release from a legit US company such as Media Blasters and Dragon Dynasty (subsidiary of Miramax). What's even more amazing is that these discs frequent the shelves of stores such FYE and even Chinatown shops! The latter doesn't surprise me too much considering the plethora of bootlegs of just about any current Hollywood product, or otherwise that's found in Chinatown DVD shops. Piracy has also had a major crippling effect in Asia for many years now and continues to be a problem. 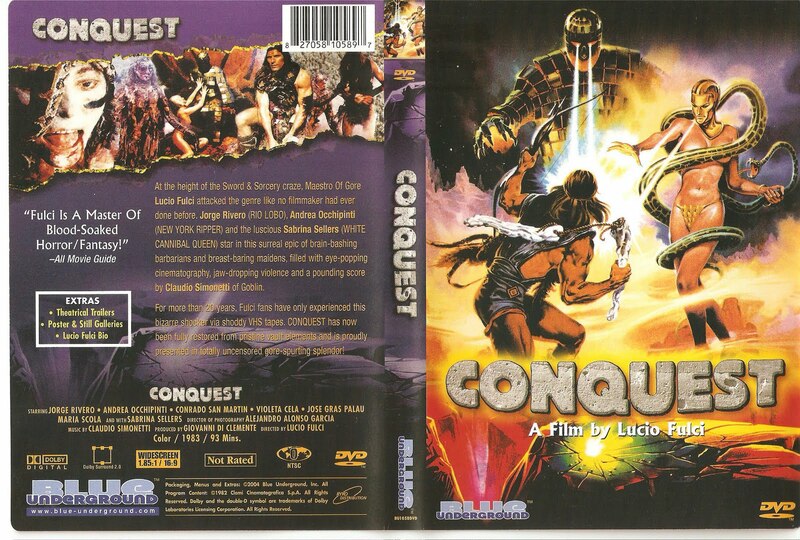 Currently, the dupe outfit, Video Asia are releasing different genres of movies in snazzy packaging such as their Spaghetti Western Bible series. Fans in the know are aware of these insidious companies and many stay away from them. But there's the select few who don't mind purchasing a terrible quality, badly synced and low priced rip off of a quality product from a legit company. These legit companies spent thousands, or millions of dollars on a multitude of titles to not only get fondly remembered films to the masses once again, but to also make a profit in the end for themselves. The bottom feeders merely have a DVD burner and a spool of cheap blank discs and they're "in business". Furthermore, these callous and cold leeches could care less. To fix the best out of the 3 telecines we did, it is costing $42,000 to do it right (or more like passable). CODE RED does not recoup $42,000 in sales on any title. Overseas sales could be one way of recouping, but the film is already being bootlegged in most countries even though it has a valid copyright. There is no way of stopping these thieves and no way of us getting some overseas funds to fix the film. 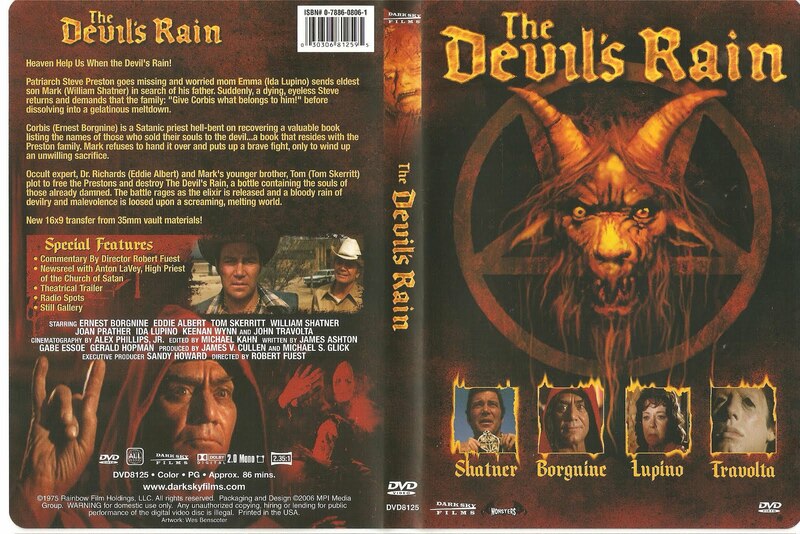 Currently, a German DVD sleazeball label is bootlegging 4 of our titles, the same 4 we still haven’t recouped on. They saw profit before we even got to it. 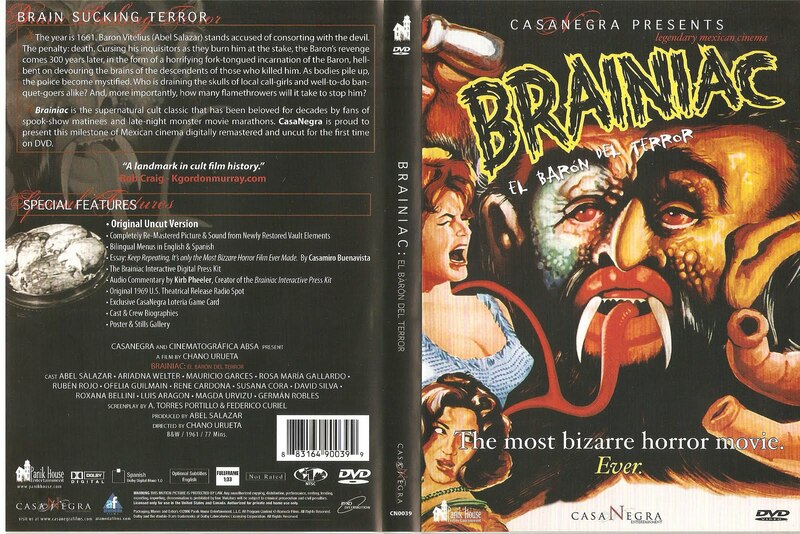 Another problem was that many fans wanted the NIGHTMARE IN A DAMAGED BRAIN version, which is very strange as that is the UK title and it’s the cut version. It never played anywhere outside of the UK under that title. If any of you want that cut version, I can’t help you. Goldmine Productions wants NIGHTMARE out and the fans want it out, so the most we can do is put out what we have done and move on. 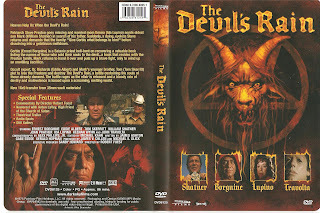 For the extras, we do have the participation of Baird Stafford and also main special effects man (Florida scenes) Cleve Hall. This is all we can deliver as far as extras at this time. There is a remote chance the Scavolini interview may be worked out in time for the release, but at this moment, that is not confirmed or finalized so as it stands now we have to say it won't be included. Also, this may be hard to believe to fans of NIGHTMARE, but most of the people who worked on the film do not like the film, were never fully paid, and have nothing but bad memories working on it. 90% of the people we asked turned us down for an interview. One even said he wished the film would go away and he was happy that the negative was destroyed. Of course, we know the fans absolutely LOVE the film and that's what really counts. NIGHTMARE received twice the amount of email requests as our recently released SLITHIS, and that movie only sold 489 copies. NIGHTMARE has to sell 4,200 copies just to break even. That amount is practically impossible in today’s market for a niche title as this. Simply put, the funds coming in from my second business and freelance work are currently paying for CODE RED’s losses. Hopefully, what with some of the promising releases on Code Red's schedule, they will be around for a good number of years. With piracy being a huge obstacle working against these guys, there's also another side of that coin. 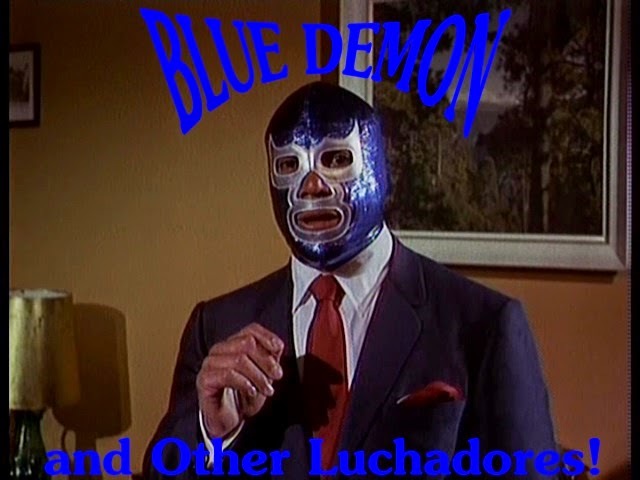 What about those titles that have yet to (or may never) find their way onto DVD? Is it ethical to support those "releases"? In my opinion, I have no problem buying movies in this respect. I have bought my fair share of unreleased-to-DVD movies (or titles now out of print) and have made more than a few DVD-R's from cable television broadcasts of various films. However, true fans generally purchase a DVD of a particular movie that was previously unavailable once it becomes so. Who wouldn't want a much loved film in a better version housed in a nice box and (hopefully) with extras? An actual DVD looks so much better on your shelf than sitting on a spindle amidst 50 to a hundred other discs. Piracy is a problem for the major studios as well, only they don't take the hit like the little guys do. They have the money to go after these digital bloodsuckers. The indies do not. The majors also have a major number of sought after film titles tucked away in their vaults; MGM being one of the chief exploitation hoarders. With little faith in sales from these exploitation quickies, a lot of times you'll find certain rarities popping up quietly on late night cable television. Occasionally, a big studio outfit will unleash a scant few obscurities no doubt backed by the some millions of units sold of more recent blockbuster productions. There has become a minor trend of smaller labels licensing certain titles from big studios like Paramount, but apparently, these ventures have proven to be not so fruitful. A serious problem crippling the smaller labels are the big chain stores removing niche titles from their shelves. Over the last few years, this problem has grown steadily worse. I was just in a Best Buy last week (as of the date on this article) and the horror section is a fragment of its former self and the only titles available were newer pictures and a handful of cheap straight to DVD drivel. This snubbing of the small guy has been yet another contributing blow to the industry that has led to the demise of a number of promising DVD labels. Stores such as Best Buy do offer these obscure movies in their online stores, but the DVD companies themselves need that shelf space for the casual and impulse buyers. Piracy and in store snubbing aren't the only reason for dwindling profits of the indy labels. Among many other things, the ever crumbling economy continues to pound away at the DVD industry and its media buying public. Ever since 2007, the United States economy has taken a beating from a majority of sources. From massive debt, to declining operating profits, to the war overseas, to the current expansive loss of jobs and homes and the current political climate we are now in continues to spiral American's finances out of control. There's still entertainment available to keep those occupied who can afford it. But when one goes on amazon and can easily purchase a title for around $10, there's little excuse as to why one would go the torrent, or dupe route. 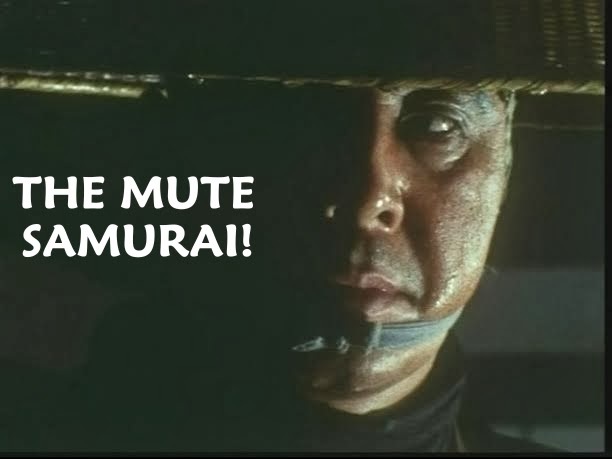 Hopefully, the companies that remain in business as of this writing including Elite, Synapse, Dark Sky, Mondo Macabro, Severin, Blue Undergound, Code Red and Media Blasters among some others will see, or continue to see the fruits of their labor. It's an entertainment business whose owners are in it to make money and they deserve to make a return on their investment. But they are also in it for the love of the art of cinema. They are in it for the love of those color faded and print damaged movies seen by those special fans who enjoyed these movies on the Late Show, at the Drive In, or in a darkened theater. They also dreamt of one day bringing these films to other like minded fans in the best version possible. PANIK HOUSE--Praised for being the premiere DVD company bringing the notorious Pinky Violence movies of Japan to American shores. Eventually, Panik House went into a partnership with Synapse to release a number of titles before they called it quits. 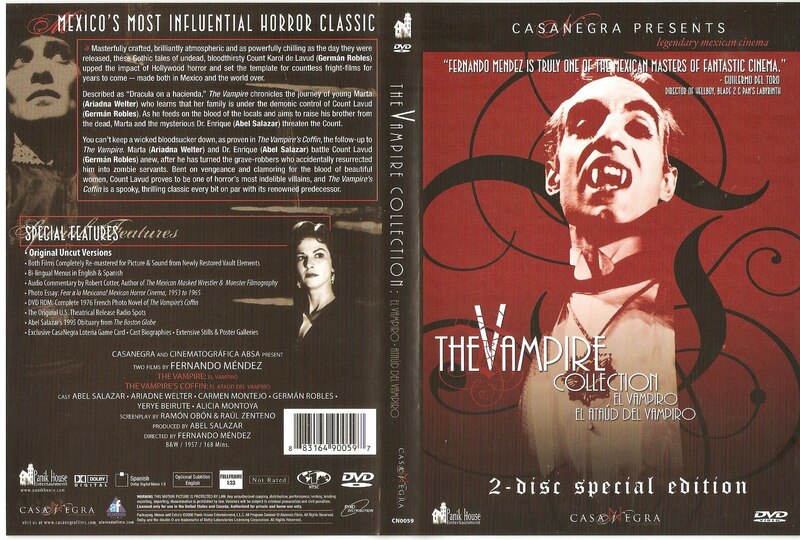 CASANEGRA--A sub label of Panik House, this impressive label specialized in the restoration of classic Mexican horror cinema. 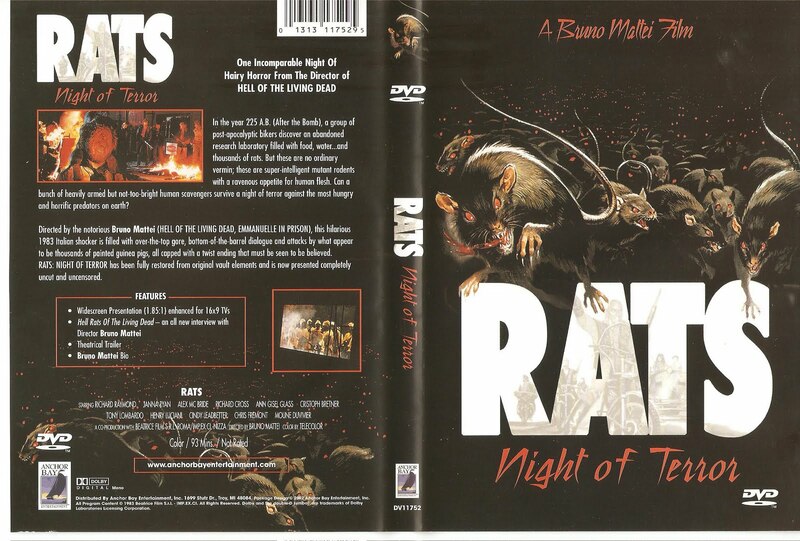 This ambitious company even won Best DVD Company at the 5th Annual Rondo Hatton Classic Horror Awards. Even still, their classy treatment of those treasures wasn't enough to sustain them for very long. Some DVD outlets have a number of their titles reasonably priced. 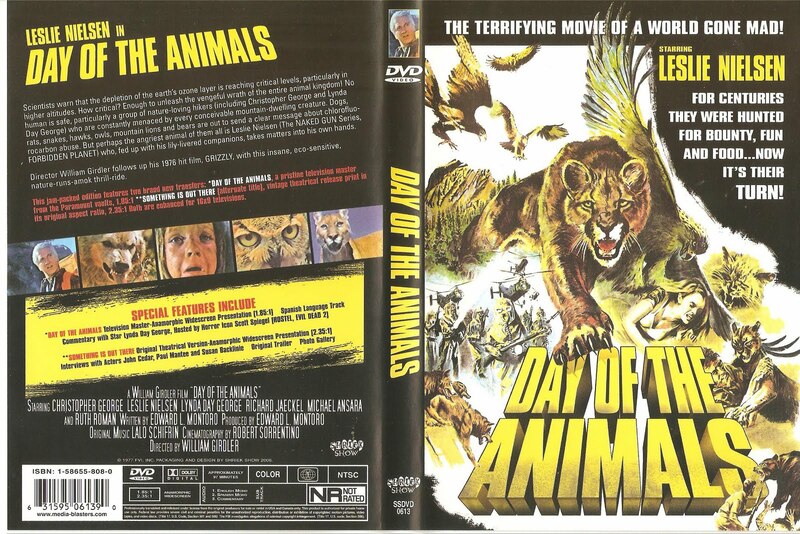 SUBVERSIVE CINEMA--Norman Hill was involved with Anchor Bay during the days Bill Lustig was there and like Lustig, left to form his own company. Subversive Cinema had a distribution deal with Niche Media Ventures, Inc, a company specializing in producing revenue streams for, among other things, the digital production industry. This deal was set to provide Norman Hill's company with nationwide distribution such as advertising and promotion of their catalog as well as aid in their title acquisitions. Sadly, these efforts did little to sustain this promising juggernaut of a company. 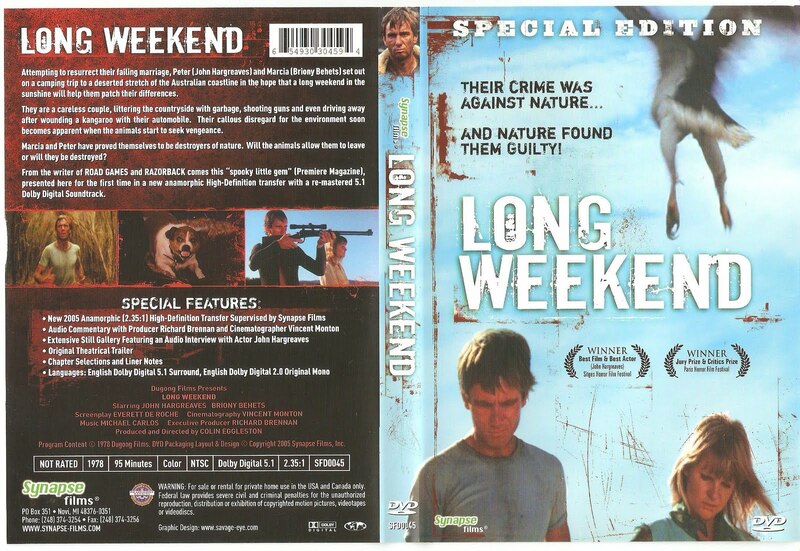 NO SHAME--This Italian based DVD company opened a US arm for a brief period before closing its doors not long after it had opened them. They specialized in choice Italian genre product such as horror, drama and poliziesco movies. They had an enormous breadth of extras on their discs and were the first legit company to present the violent Italian crime pictures in lavish packages outside of Europe. VENTURA/ADNESS--This label released a number of Japanese movies including an extensive line of Sonny Chiba movies. BCI stepped in and picked up their titles and released them under the Ronin label and managed to get at least one Chiba Blu Ray double feature out before they, too, went out of business. BCI/BRENTWOOD--Brentwood was an incredibly prolific public domain label that released scores of VHS quality DVD's before being purchased by the Navarre Corporation. 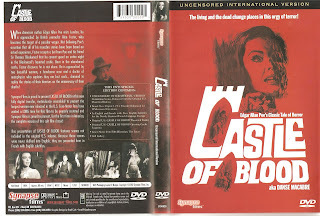 BCI, while not totally legit, did release a number of legitimate releases including a string of Paul Naschy movies and had purchased the rights to ten Shaw Brothers titles before Navarre closed them down. They did manage to get two Shaw titles and one Blu Ray out before closing up shop. BARREL ENTERTAINMENT--This company specialized in extreme and obscure independent pictures and gave the kind of attention to them you'd expect to see from a major studio blockbuster. They lasted a few years and in that time released around ten titles including the sought after THE LAST HOUSE ON DEAD END STREET (1972/77) and the two NEKROMANTIK films. They were working on an uncut release of EXPOSE (HOUSE ON STRAW HILL 1976) when they closed their doors. LEGEND FILMS--Known for their phenomenal work in colorization and film restoration, this preservation facility licensed a slew of lesser known titles from Paramount's vaults and presented them for the first time on DVD. 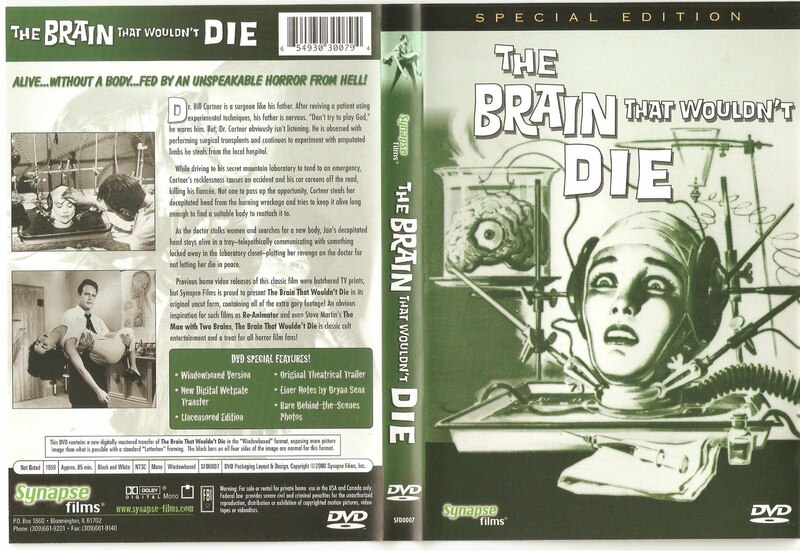 Proving difficult to find initially, some very nice genre titles did manage to see the light of the shiny disc such as THE SKULL (1965), THE MAN WHO COULD CHEAT DEATH (1959), MANDINGO (1975), PHASE IV (1974) and STUDENT BODIES (1981). Paramount has recently licensed out another string of titles to a new up and coming label, Olive Films. LEGEND HOUSE--Horror, trash, rock-a-billy celebrity, Johnny Legend, had a brief stint in the DVD release limelight with this short-lived label that wasn't quite on the up and up. Even so, he managed to obtain legitimate distribution from Ryko/ADA, which also handled other DVD companies such as Blue Underground. HERETIC FILMS--This independent company released a handful of likewise indy and guerrilla style filmmakers productions. Many of their releases were quirky pictures, or low budgeted, but spirited odes to more famous American horror pictures. 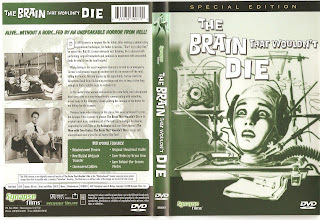 THE LAST BROADCAST (1998), THE BLOOD SHED (2007), HEAD TRAUMA (2006) and DIE AND LET LIVE (2006) were some of this company's releases before closing their doors after a few years of being in operation. 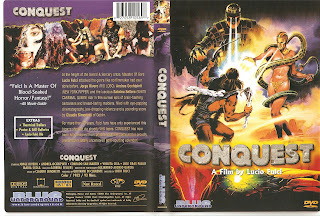 ELITE ENTERTAINMENT--As mentioned above, this enterprising company started by Vincent Bancalari and Don May Jr. were major forerunners in the laserdisc/DVD market. It seems Elite may have also been buried within the DVD graveyard as nothing has been released from them since at least 2006. It's truly a sad time for serious DVD collectors out there and even harder for the passionate individuals who take chances with their money to bring such films to the masses, especially in times of economic uncertainty. Those men and women who run these companies are the true fans. Even if the films aren't always as good as we'd like them to be, they save so many worthy titles and deserve adulation for their efforts. For the fans out there, if you don't support companies such as Synapse, Blue Underground and Dark Sky, then there will be no new releases to watch, rediscover, or review for your respected websites and blogs. We will be forced to make do with washed out, faded, or murky and predominantly cut VHS tapes as a source for enjoyment of many obscure and as yet undiscovered titles. Now, here's the exclusive interview with Don May Jr., the President of Synapse Films, who kindly took time to allow me to bug him with a flurry of questions amidst his very busy schedule. Those who have read this far will recognize Don's name having been mentioned above in relation to Elite Entertainment. He now runs Synapse Films with his partner, Jerry Chandler. And now, on to the interview! Venoms5: What's the DVD buyers climate like today compared to what it was several years ago in relation to independent companies and niche genres in general? Don May Jr.: It's the worst time in the history of DVD for any indie company. With the economy so bad, major stores closing and the rise of Bit Torrent sites bootlegging everything that comes out, it's harder than ever to succeed in this type of business. V5: Explain the process of what you guys go through to release a title to the audience--from obtaining the rights down to the final DVD release itself. DMJ: That would take an entire book to answer this question. V5: You have released various titles from Italy to Japan to name two. How difficult is it working with foreign companies in obtaining some of these titles? DMJ: Most companies are great to work with. We haven't had too many issues working with foreign countries. Actually, I can't recall too many instances where dealing with a foreign country for materials has been too difficult. Our most difficult times, honestly, have been with some US companies or individuals. V5: What's the most difficult, arduous, or expensive aspect of handling and releasing one of your titles? DMJ: The most difficult aspect is doing the transfer and digital restoration/clean up. We approve materials ahead of time, but there's always something that needs fixing. For example, THUNDERCRACK!... a title we absolutely love and couldn't NOT do is turning into the most time consuming, difficult restoration in our history. I'm very picky and have to try and fix everything to the best of my ability and THUNDERCRACK! is one that extensive (and expensive) work is being done to. But, with all the clean up and fixes, I actually do have a lot of fun! 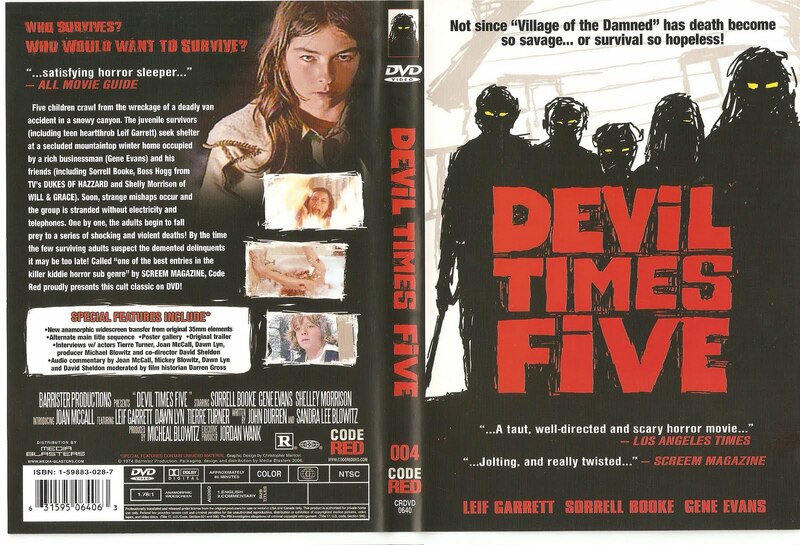 V5: Has an actors price tag ever kept you from procuring an interview for a DVD release? V5: Are there titles you obtained that did poorly than expected and were there titles that exceeded expectations? DMJ: With the current state of the industry in turmoil, pretty much EVERYTHING does poorly, unfortunately. Back in the early days, you could sell 10,000+ of a title and, now, that same title might be lucky to do 2000. 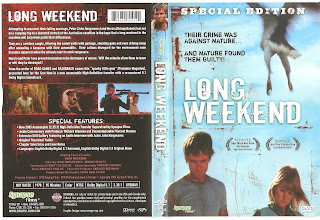 The one I was personally upset about was LONG WEEKEND, a title that I've loved since I was a kid. It's such a great movie and we spent a lot of money making it perfect and no one bought it. Its hard to talk about anything that exceeded our expectations these days because our expectations are so low. 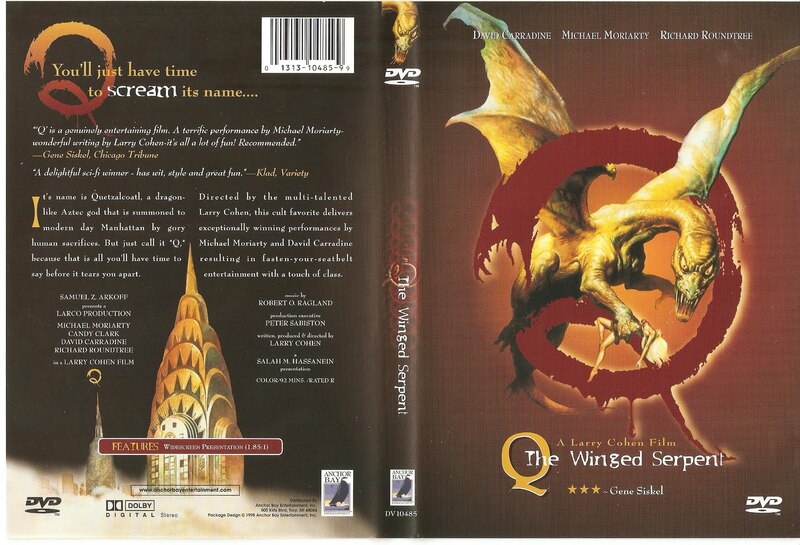 V5: How bad has torrents and bootleggers crippled the cult DVD labels? DMJ: It's getting worse every day. As soon as you release something (sometimes even BEFORE you street something), it's up on the torrent sites for everyone to have for free. It's amazing sometimes to see the amount of "leechers" and "seeders" exceed our amount of total sales of a particular title. But, until the government does something, we just press on and keep going. We cater to true fans and collectors who like to have finished product and we are thankful for those honest individuals. V5: How does the use of online rental companies such as Netflix affect Synapse, or other DVD companies? Do they aid in sales, or hinder them? DMJ: Netflix is convenient for people, but the service does hinder sales somewhat, just like any other rental service does. People rent them and then copy the movies for themselves and give them to their friends. Their video on demand service is quite nice, though. V5: What is your opinion of companies such as Retromedia and Mya amidst the speculations of various non licensed releases? 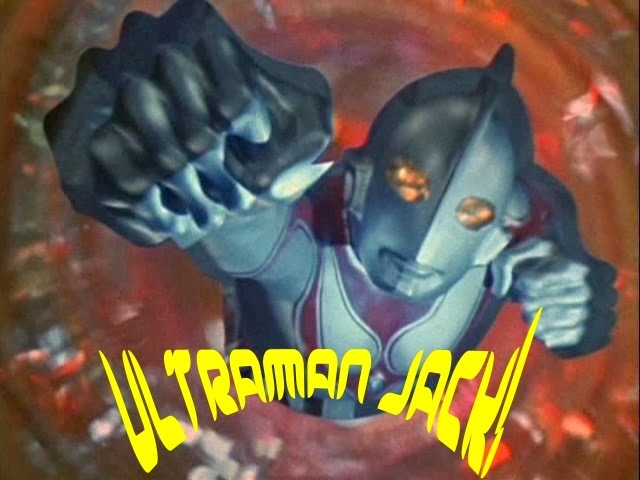 DMJ: Well, look, it is upsetting to see some companies doing unlicensed titles, but I'm a firm believer in karma. It'll come back to get them sooner or later. For some companies, it already has. Companies spend thousands to do certain titles, only to find out right before release that they are doing something illegal and they get cease-and-desisted. Why would you even take that chance, you know? Sometimes, it's an honest mistake... it happened to us with THE INCREDIBLE MELTING MAN... the original producer sold it to us then we found out he already sold it to MGM over a decade before, for example. He was going for a money grab and he didn't think MGM would find out, I guess. Thank God we hadn't spent any money mastering it yet, or we would've been screwed. 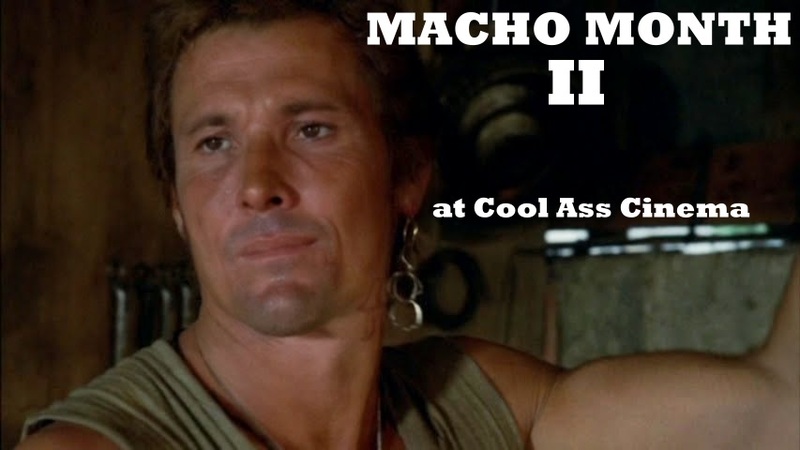 V5: How well has, or how well do you perceive the Blu Ray market to do in cult film circles? DMJ: We wisely waited for the Blu-ray market to get a little larger before jumping in. Many smaller companies have told us that Blu-ray isn't profitable for them yet. We're going to jump in eventually, but we're not in any hurry. For cult films, Blu-ray hasn't proven to be hugely successful yet. I'm not so sure it ever will be. The films we do just aren't as well known as the latest, greatest studio blockbuster and creating, mastering and replicating in HD is more expensive than a standard DVD. If you do a title on Blu-ray you are rolling the dice, for sure. V5: Having lost Subversive, CasaNegra and rumors of other companies being in trouble, has there ever been a time where you felt like just calling it quits? DMJ: Not at all. My business partner and I have never, ever discussed closing up. We run a tight ship. A much tighter ship than most other indie companies I know and we watch every penny and spend wisely on titles and are quite frugal. We've been around for 14 years and, at this point, we have no intention of shutting our doors. We have talked to people associated with some indie DVD companies that have closed down and the amount of money they spend on employees, offices, salaries, licenses, etc. is astounding! One now-defunct-DVD company (ex)employee talked to us one time about working for us freelance and his asking price (to work for us freelance) was TWICE the amount of money I was making as a yearly salary! It's no wonder the company they worked for went out of business, you know? V5: What's going on with all that unused and alternate footage from HALLOWEEN? Is there a possibility this footage will see the light of day at some point? DMJ: The footage is safe and sound, but I don't know if anything will ever come of it. Malek Akkad isn't calling us back or answering emails we send, so I can only assume he doesn't want the fans to see this stuff. That's OK, though... at least it didn't get thrown in the trash and lost forever. I have seen a lot of the footage and know what we have and there's some great stuff. At least I've been able to look at it! V5: What keeps Synapse going and what does the future hold? DMJ: We keep going because we love movies. We don't know what the future holds, but we're gonna keep going. V5: Thanks so much, Don, for your time. I wish you the utmost in continued success with Synapse and any other ventures you undertake. Again, a huge heaping thank you to Don for granting me an email interview which has aided me immeasurably in producing this article. The link for Synapse is here. Hopefully, the DVD industry for these independent labels will thrive once again and lead to another boom in releases of some of our most sought after movies to surface on the digital format. Cheers to all of you who are hanging in there! ADDENDUM: The following is a list of as many independent DVD sites that I can come up with and links to their respective sites. Just click the company name to be taken to their website. If anyone has any others I may have missed, please let me know in the comment box below, or by emailing me at brianchiba@gmail.com. Daaaaaaaaaaaaaaamn this post is EPIC! That's a whole lotta love. Great great read. Wow! Makes me wanna buy some DVDS. Thanks, Zach! Originally, it was going to be even bigger if only I got some response back from Blue Underground, Dark Sky, Media Blasters (had a contact, but lost the info) and Code Red. I added three additional defunct indy labels. Will probably add a list of those still around with links to their sites. I had planned to do that yesterday, but I worked on this all day and late into the evening. Wow! Now this was like reading an article from a favorite film mag. Excellent work, definitely worth reading 2,3,4 times. 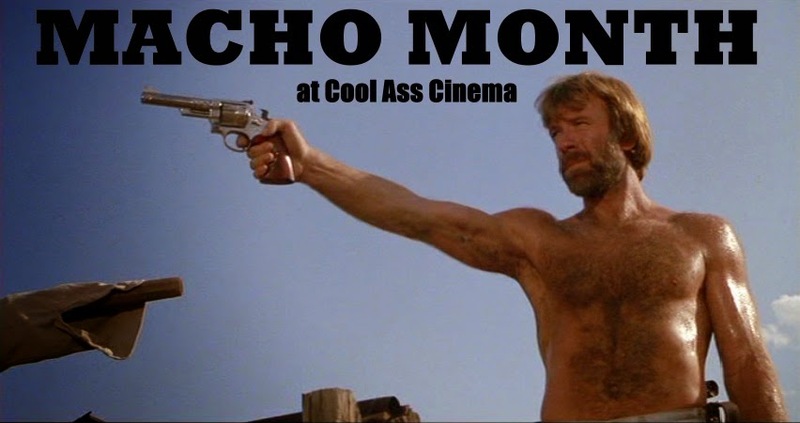 @ Danger Cinema: Thanks a lot for reading it! @ Skeme: Thanks a lot, man! I spent a whole afternoon putting it together and got a headache for my troubles, lol. Astounding work, venoms5! After reading this, I don't mind waiting for the next Shaw reissue from Media Blasters, no matter HOW LONG it gets delayed! If you haven't done so already, you should post a link to this at KFCF! A LOT of them NEED to read this, that's how important your article is!... By the way, ALL your writing is wonderfully opinionated! Keep the faith, man! Your comments are much appreciated, Fang! I haven't posted a link there yet. And you're right, there are more than a few there who could do with actually supporting DVD companies when it comes to legit releases. Speaking of Shaw Brothers, I just posted a review here for that ultra gory gangster film, HONG KONG GODFATHER! Lots of fun, that one. This is an amazing post! This is like something I'd read in Horror Hound magazine, especially with the DVD scans (are those yours?). Excellent work, my friend. Thanks for reading, Aaron! Yes, those are scans of my DVD's. I had planned to use more, but figured that was enough considering I was pressed for time to get it all done. I been wanting to put something like this together for a few weeks now and finally got a free day to sit down and write it out. Dude. I dont even know if a comment will suffice, but excellent read and so happy to find it up online this morning! I think we have all helped the DVD industry in one way or another not just by supporting the product but by promoting them through the reviews. Great work my friend, great work!! Thanks, Carl. I only wish I could have gotten a response from the other DVD companies I sent emails to. I had lists of questions exclusive to each business. Oh, well. I do have enough additional material for a follow up piece, though.